Paulist Fr. Larry Rice is a veteran Catholic campus minister and an expert in faith-based communications. Since Summer, 2016, he has served as director of the University Catholic Center at the University of Texas at Austin. From 2004 to 2010, he served as director of the St. Thomas More Newman Center at The Ohio State University in Columbus, OH. 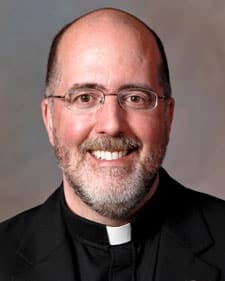 He also has served as our vocations director, first consultor (chief advisor to the president of our community) and director of St. Mary's of the Lake, the Paulist Fathers' summer retreat at Lake George, NY. From 1990 to 2002, Fr. Larry served in Washington, D.C., on the staff of the Intercommunity Telecommunications Project and at Paulist Media Works. Fr. Larry made his first promises to the Paulist community on August 11, 1984. 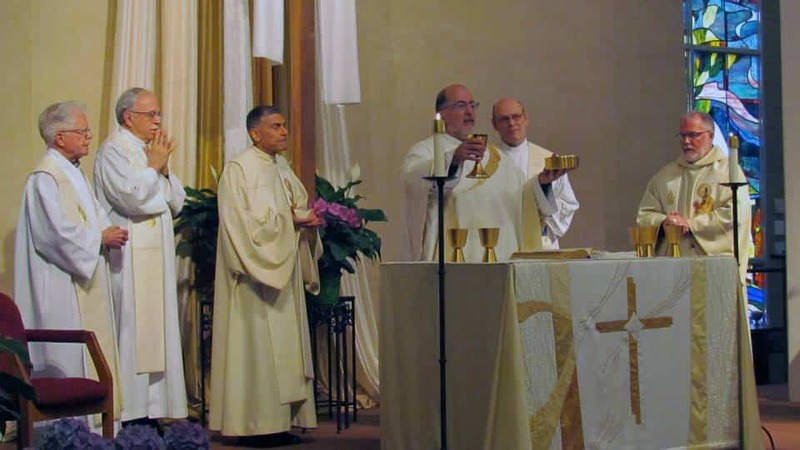 He was ordained a priest on May 13, 1989. He grew up in New York State and earned his undergraduate degree at Penn State. Fr. Larry can be reached at (614) 327-0521 or lrice@paulist.org. Paulist Fr. Larry Rice celebrating Mass for the 25th anniversary of his ordination at the St. Thomas More Newman Center in Columbus, OH.